Selling a property is a huge decision that nobody makes overnight. As much work as it is to simply maintain a home, expect an increase when you decide to put it on the market—selling for a good price does not come easily. Yes, from landscaping to interior staging, there are no shortage of chores to do, but do not let that intimidate you; selling your first Williams Lake real estate will be very rewarding in the end. 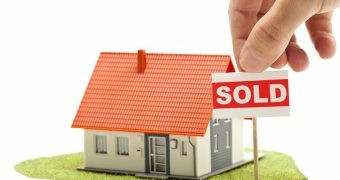 If you have decided that it is time to sell, and this is your first property, you are probably feeling a lot of tension. This is normal, as all homeowners hope to do well on the market. Successfully selling a home takes a lot of time and planning. It can turn into a second job, especially if you are also hunting for a new home in the area. To make this experience easier, here are five tips for selling your first home, brought to you by Team Moore. There is a lot of work to be done to get your home ready for the market. Without a realistic schedule, things can get very hectic. First, work with your real estate agent to choose a date when you would like to officially list your property. You will work backwards from that point, planning the work that should be completed accordingly. You will also need to pick a date for your agent to come and take pictures of your home, as well as a date for an open house. The preparation phase is the most difficult for homeowners, but it is worth it to put forth a good effort. If you will need to have work done that requires you to hire a contractor or professional, be sure to ask around and get good referrals so that you know that you will get quality work. Your agent should be able to give you contact information for reliable contractors. Establish a budget and prioritize the jobs so that you get the most important ones out of the way first. To really understand the local market, you should go to other open houses in the area and speak with other homeowners or real estate professionals. This will give you a good idea of what you will need to do to get your own home ready for the market. Once you have made the decision to sell, start thinking of your home as your product rather than your property. Looking at it with this view will help you to make changes that will make your home appeal to a greater number of potential buyers. For instance, you might love that eggplant color in your living room, but it could be the reason why many buyers walk away from your home unsatisfied. A home evaluation from your local real estate professional will help you to understand what needs to be done before your home can be sold, as well as establish a fair market price for your property. This is very beneficial to homeowners. If you are interested in having your Williams Lake real estate evaluated, visit our home evaluation page or contact a representative with Team Moore today.